Petites: 3 Tips to Style You! We couldn't be more excited to talk about petites! With the launch of our new petite sizes, we get to serve you up even more useful styling tips & tricks catered specifically to those 5'3" and under. See below for 3 easy-to-wear looks—and accompanying tips—that will flatter your smaller frame. For a casual everyday look, choose pants in a dark wash—they’re naturally slimming and will lengthen your lower half. Stylist Tip Don’t be afraid to tuck in your shirt! If you find that your top is slightly too long for you, simply tuck in the front and let the sides drape naturally. Add a belt for a more polished look. Are you a dresses-only type of girl? Look for silhouettes that won’t add too much bulk to your frame. Stick with smaller-scale prints like polka dots and mini graphic patterns. You don’t want anything that will take over. For the working girl, look no further than a fabulous pencil skirt in a “look-at-me” print. Pair it with a bright, solid blouse and basic pumps. You’ll have your co-workers asking you to style them! 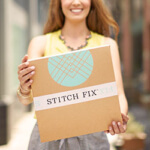 Want to learn more about petites at Stitch Fix? Check out this guide to modifications made just for you. Love what you see? Schedule a Fix and ask for petite!